Celebrating in the Smokies brings Christmas dinner and drama to many theaters in the Great Smoky Mountains area. Each show is filled with holiday entertainment for the whole family! 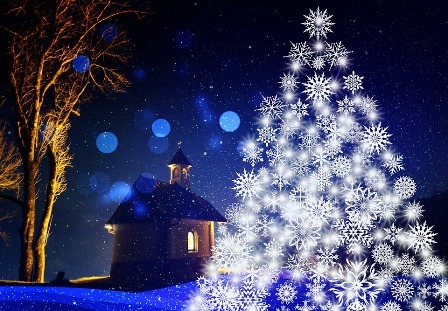 These delightful shows offer excellent cuisine, colorful scenery, lovely carols and songs, while others display a remarkable depiction of Christ's birth! Christmas Dinner and Drama Lets you Enjoy Delicious "Southern-Style" Meals along with Top Entertainment! 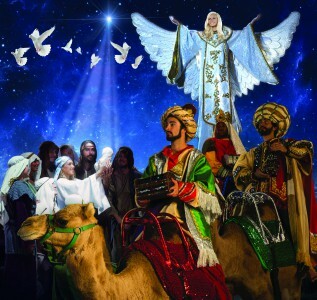 BIBLICAL TIMES CHRISTMAS SHOW features the Christmas story in a unique way using holographic images. The story is brought to life in live drama, music, and beautiful testimonies from each of the performers. A delicious 7-course meal is included. It's a wonderful meal served in "biblical proportions! This high-energy show is a spiritual blessing that is sure to delight every member of the family. DOLLY PARTON'S STAMPEDE is a "high-spirited " Christmas and drama that's exactly what you need to help to make your Christmas bright! Enjoy an awesome Nativity with live animals as the story of the birth of Jesus is told in complete detail. This amazing story is brought to life bringing with it the warmth and joy of the true meaning of Christmas. Be amazed by colorful holiday decorations while enjoying a delicious four-course Christmas feast. There's exciting competition between the North and the South! You may even see old Santa Claus himself! This delightful show is a Christmas celebration at its best! 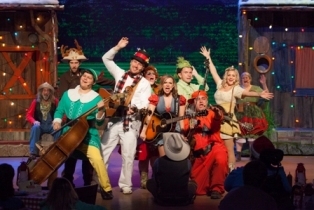 A COUNTRY TONITE CHRISTMAS is a musical drama featuring Christmas carols, lively tunes and comical holiday skits. The Country Tonite show always lifts up the name of Jesus! During the Christmas season, you'll see the story of Christ's birth come alive onstage and hear Bible readings of that miraculous night of long ago. It's a high energy show with beautiful stage settings, colorful costumes, Santa Claus, and a talented cast that includes children! CHRISTMAS AT THE OPRY is an amazing, high-energy show that says "Christmas" from beginning to end. 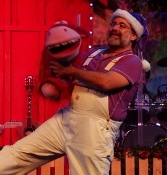 In the first half, see Santa, elves, lots of singing, and more! It's the second half of this exciting show opens with a spectacular Nativity celebrating the birth of Christ! It's a time of rejoicing in song and dance! Live animals are present! Angels fly! The glory of the Lord is raised and song in one of the area's most amazing biblical displays. CHRISTMAS AT THE COMEDY BARN is a laugh a minute for every member of the family! From beginning to end you'll enjoy good music, silly antics, and amazing acts you won't find anywhere else! The Comedy Barn is a lively drama filled with good, clean comedy and for everyone of all ages. Christmas "Tis the season to be jolly"....and your first big belly laugh starts right here! SWEET FANNY ADAMS THEATER presents"BAH HUMBUG" which is a short version of Charles Dickens Classic Tale "A Christmas Carol." This musical variety show and Christmas drama is filled with funny skits and Christmas music and carols. 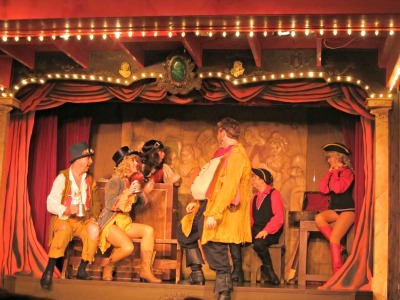 Get ready to "laugh your sides sore" as you watch this famous classic story come alive with lots of twists and turns to bring you one of Gatlinburg's most entertaining shows! Family fun, laughter, and lots of excitement mixed with beautiful Christmas dinner and drama is the right combination to create the perfect Smoky Mountain Christmas!